My diet has been atrocious lately... with moving, being away, working late and not having the car to go shopping, we've literally been scoffing on pasta, pizza and take-aways. So I started freaking out a little the other day craving something healthier, that wasn't salad. After a little rummage in the kitchen cupboard and some research on the good old internet, I found this incredibly scrumptious red lentil and date stew. I have to admit, I wasn't convinced to start off with. 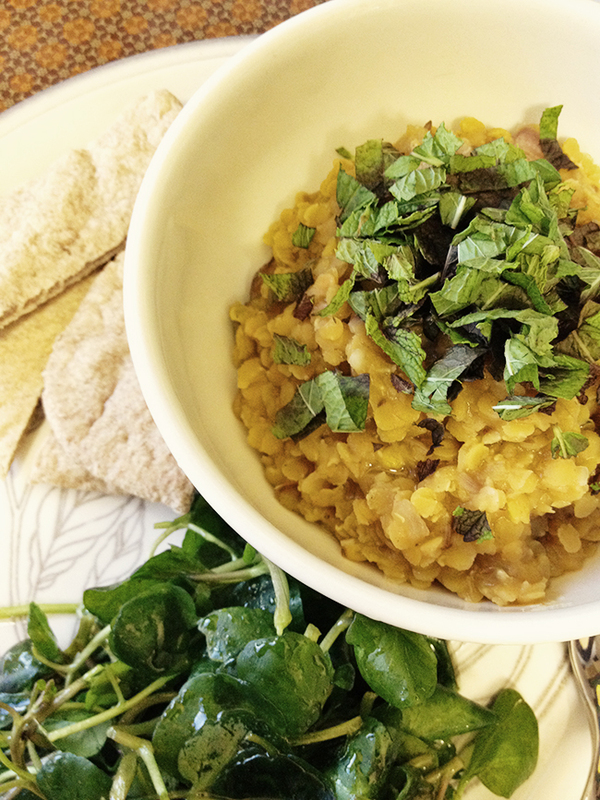 Lentils never look very appetising and I wasn't sure about the cumin, date and mint combination. It was sooooo tasty. 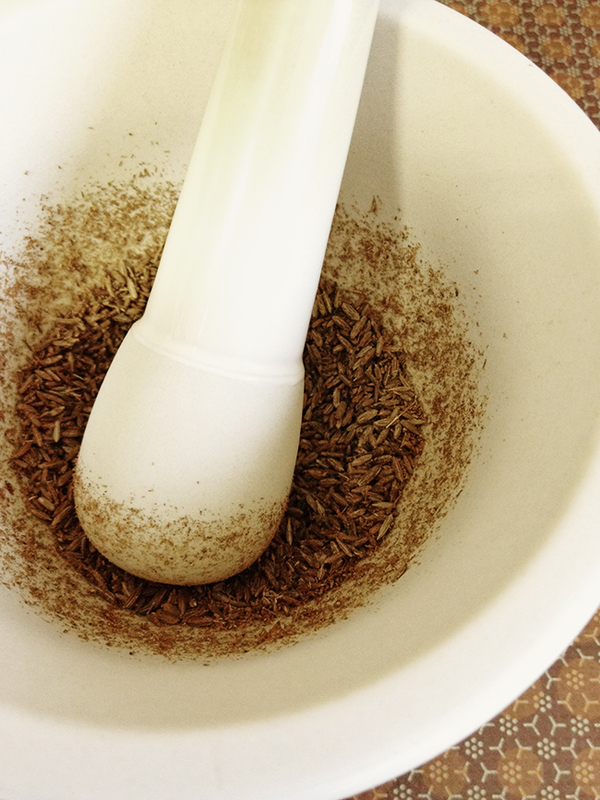 Heat up a dry pan and roast your cumin seeds until fragrant (make sure you don't burn them though). Grind in a pestle and mortar and set aside. Heat the olive oil in a pot and fry the onions and garlic for approximately 5 minutes, until soft. Add the ginger and cook for a couple more minutes. 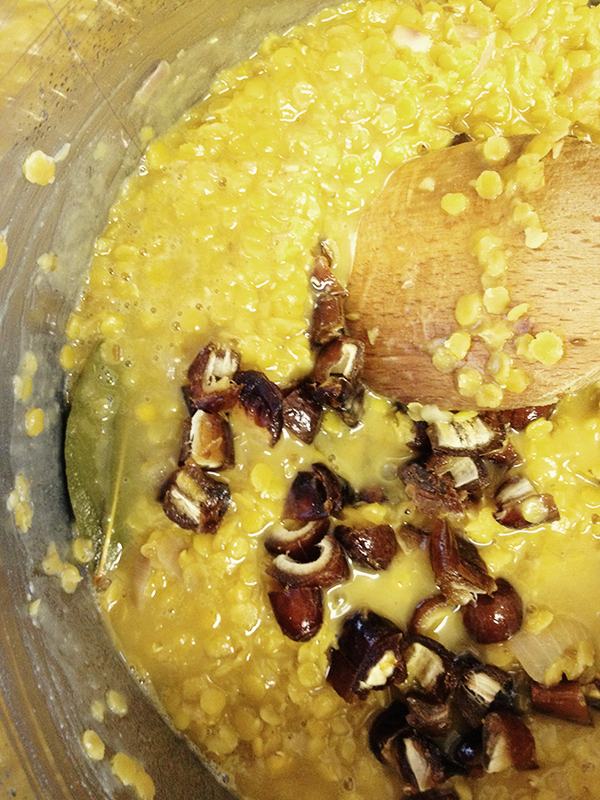 Mix in the lentils, cumin, bay leaves and stock and stir in the tamarind paste. 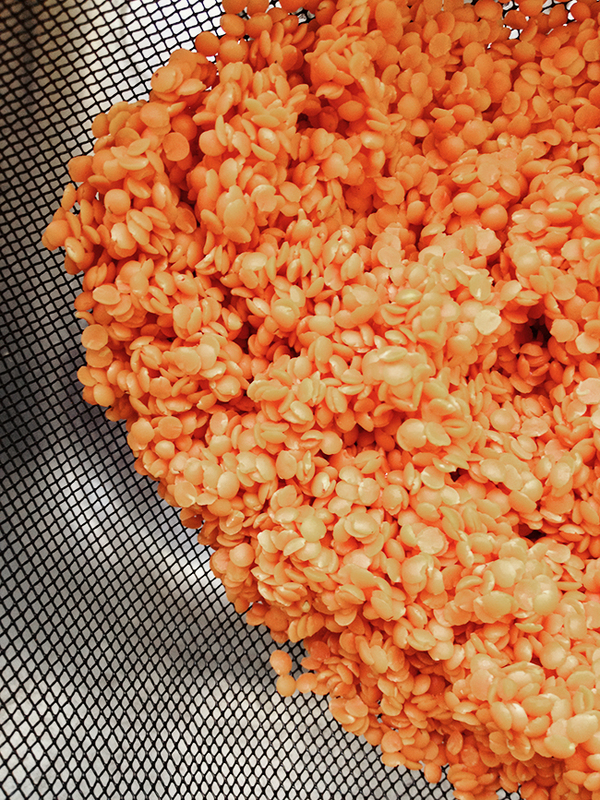 Bring to the boil and then turn down the heat, leaving to simmer for 30 minutes or until the lentils are tender. Make sure you stir the stew occasionally. Five minutes before the end stir in the dates. Serve with the watercress salad and flatbreads and sprinkle with the pomegranate and mint. Recipe by Simon Rimmer and adapted by Etta. I love the post! Thank you!